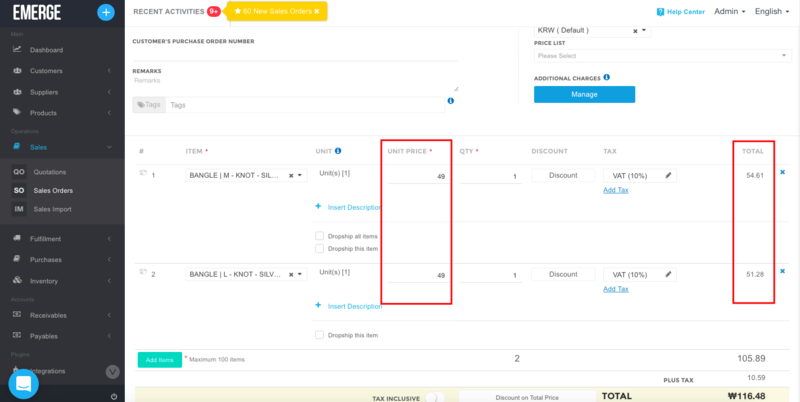 Sales Order: Apply additional charge(s) per line item. 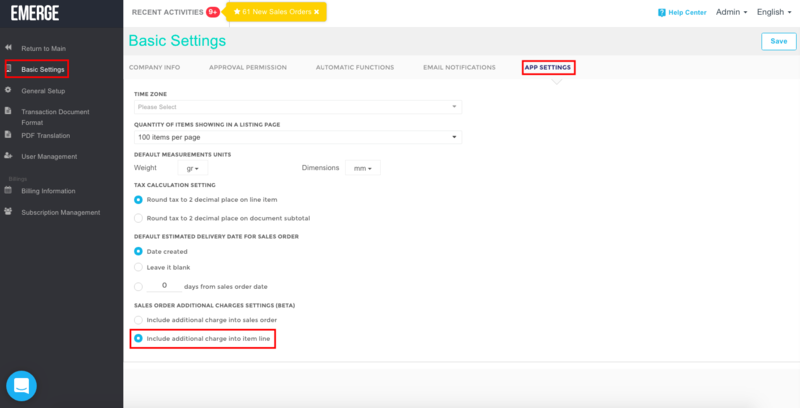 This settings allows you to add additional charge(s) for item(s) in Sales Order separately or for the whole Sales Order. Go to to Company Settings > Basic Settings > APP SETTINGS tab > choose Include additional charge into item line and Save. 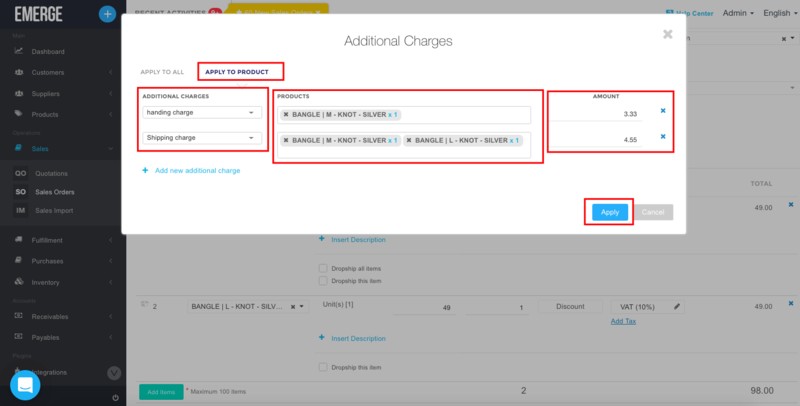 In Sales Order, add item(s) and click Manage button under ADDITIONAL CHARGES. 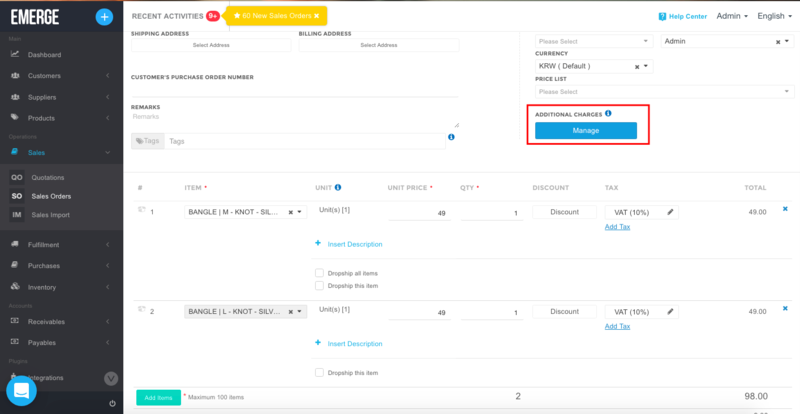 Go to APPLY TO PRODUCT tab, select the additional charge(s) and product(s) to apply, edit the amount if needed, click APPLY. 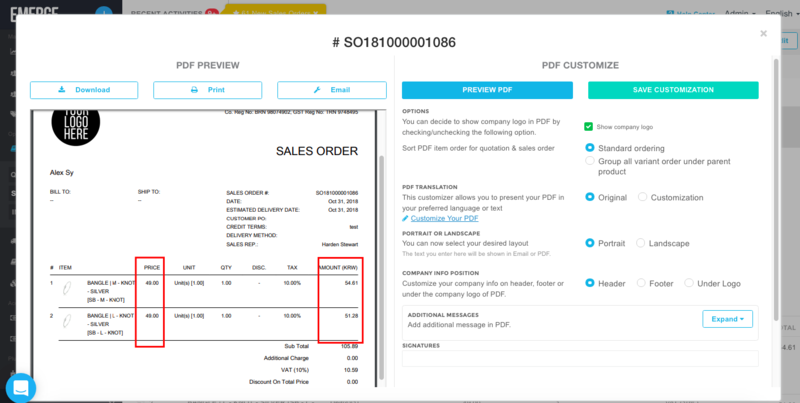 You will see the total of item(s) changed according to additional charge(s) applied in the Sales Order detail page and Sales Order PDF.